Join us in raising readers. Pledge to read with a child for at least 20 minutes every day. Once you take the pledge, you can download the Bertie the Bookmouse coloring sheet and our reading tracker bookmarks to mark your progress. 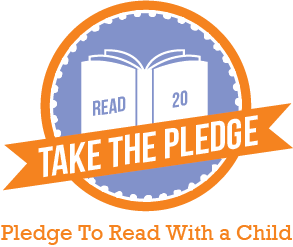 Pledge to Read With a Child 20 Minutes Every Day!